Snowmaking equipment was up and running at Wildcat Mountain this month ahead of the resort's earliest-ever start to skiing. The Wildcat Mountain ski resort in the White Mountains will have the earliest opening ever in its 61-year history Saturday. It comes after a mid-October cold snap that bucks the overall warming trend for New England winters. Wildcat Mountain spokesman Jack Fagone says it's usually not cold enough for snowmaking until closer to Thanksgiving. That wasn't the case this year – with a recent week of weather in the 20s and lower, as well as a surprising amount of natural snowfall. “To be skiing in October is just amazing,” he says. This weekend, he says Wildcat will have the most vertical feet available for skiing east of Colorado. Promotions for opening day even broke some in-house records for likes and comments on social media. But it’s an outlier – what UNH snow scientist Elizabeth Burakowski calls an example of weather, not climate. Overall, she says New England winters are getting slowly but steadily shorter and milder. The region has warmed by 3 or 4 degrees since the 1970s, and lost one to two weeks with snow on the ground. Jack Fagone says Wildcat’s snowmaking technology has advanced a lot in recent years. Still, it requires temperatures below freezing to work. Scientists also predict extreme weather events will increase in the coming decades. Fagone says he sees that in this year’s early start to skiing. It may not reflect global warming, but Burakowski says it does reflect climate change overall. Longer-term, without serious human intervention to curb climate change, she says New England could see winters more like the Mid-Atlantic’s by the end of the century. A controversial conference in Portsmouth Friday focused on economic solutions to climate change – while questioning some mainstream scientific views. The Portsmouth Conference was the first put on by Citizens Count, a nonpartisan voter education nonprofit. Its founder is prominent New Hampshire businessman Paul Montrone, who sat in on the conference at a hotel in Portsmouth. 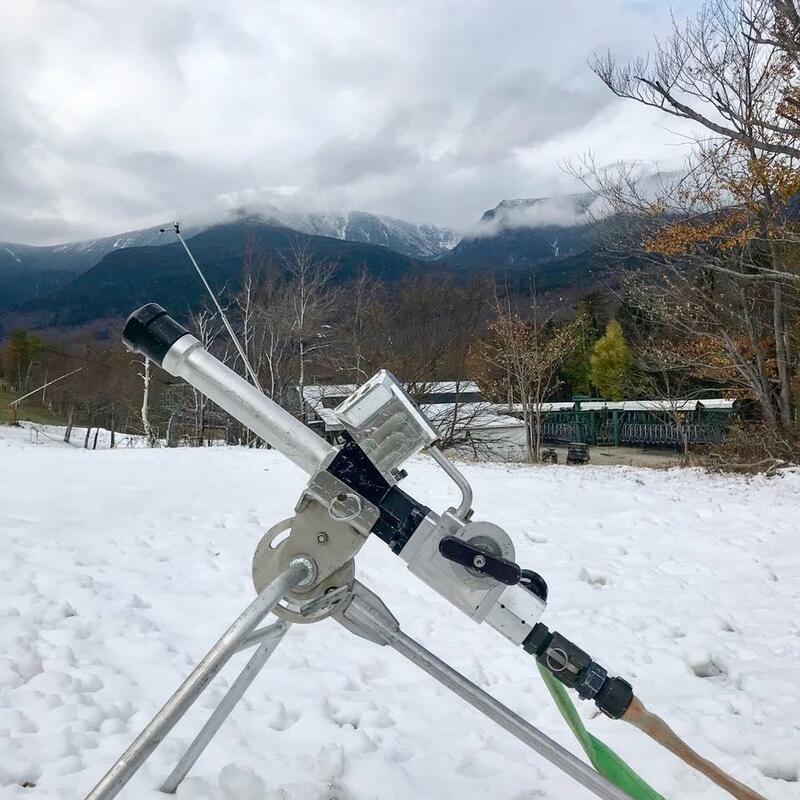 A new study from Plymouth State University and the Hubbard Brook Experimental Forest says New Hampshire ski areas will have fewer days to make snow each winter as the climate warms. Co-author Geoff Wilson of the Cary Institute says they already knew the White Mountains were warming faster during the winter than at other times of the year. For this study, he says they worked with nearby Loon Mountain Resort to see how warming is affecting ski areas. New studies say a decrease in snow days as the climate changes is taking an economic toll on states like New Hampshire—as well as an environmental one.